Governor Pete Ricketts of Nebraska speaking at the 2017 Conservative Political Action Conference (CPAC) in National Harbor, Maryland. The governor of Nebraska has signed a budget bill that defunds Planned Parenthood and other abortion providers in the state. Before Gov. 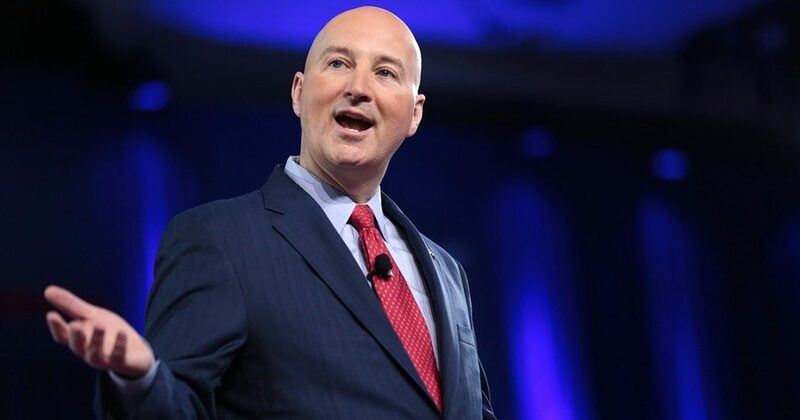 Pete Ricketts, a Republican, signed the spending package Wednesday, the Nebraska Legislature had failed twice to pass the $8.8 billion budget, USA Today reported. Ricketts praised the restrictions on funding abortions, as well as fiscally responsible aspects of the budget, in a statement released Wednesday. Title X is a federal grant program for preventive and family planning health services. Today, I signed new #prolife budget language into law. This provision ensures that Title X taxpayer dollars do not fund abortion services, including abortion referrals, at any clinic in Nebraska. The budget, which Nebraska lawmakers passed 38-6, also provides tax relief as well as funding for K-12 education programs, the governor noted. Nebraska is the only state with a one-chamber legislature. In a statement released Thursday, the Planned Parenthood Federation of America said it would continue to oppose the restriction. “Planned Parenthood has vowed to fight to continue serving patients who need access to affordable reproductive health care, no matter what,” the abortion provider’s statement read. Monica Burke, a research assistant in the DeVos Center for Religion and Civil Society at The Heritage Foundation, said any institution that performs abortion should not receive taxpayer money.